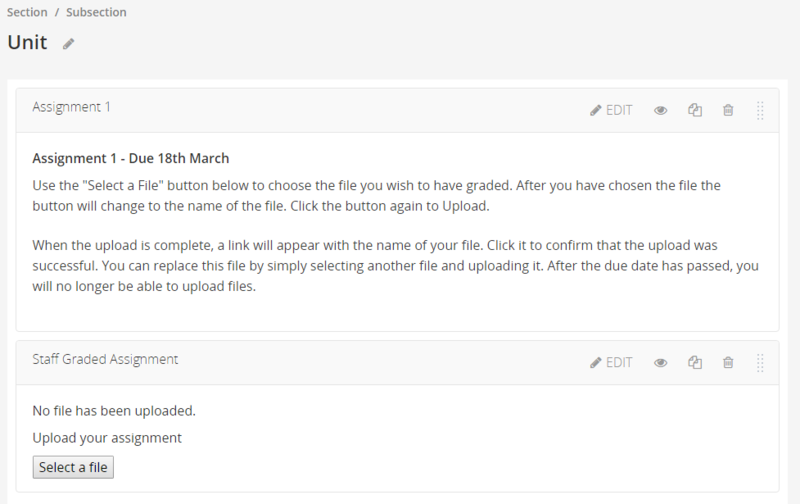 The Staff Graded Assignment XBlock invites learners to upload files which encapsulate their work on the assignment. Instructors are then able to download the files and enter grades for the assignment. Now head to your content and select the Advanced component type. You should now see Staff Graded Assignment as an option. Press Edit and enter the relevant details for your question. The scoring for your problem will depend on your own grading criteria. Use the "Select a File" button below to choose the file you wish to have graded. After you have chosen the file the button will change to the name of the file. Click the button again to Upload. When the upload is complete, a link will appear with the name of your file. Click it to confirm that the upload was successful. You can replace this file by simply selecting another file and uploading it. After the due date has passed, you will no longer be able to upload files. 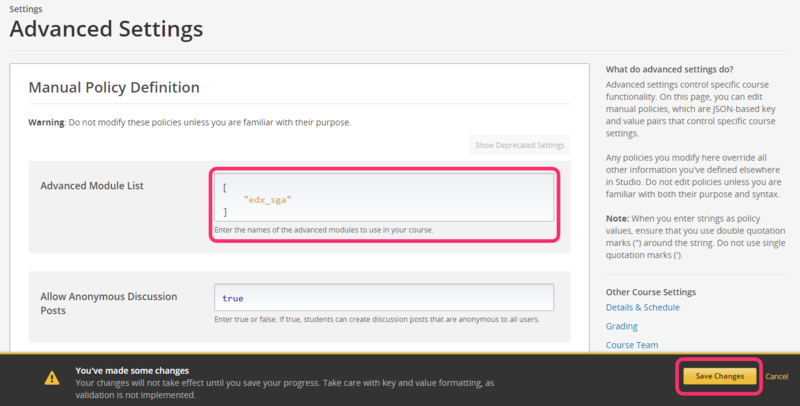 Publish your new page, and once submissions are gathered from learners, a staff member can click the Grade Submissions button in the LMS in order to see them and issue grades. We'll have a more in-depth guide in this step in the near future.